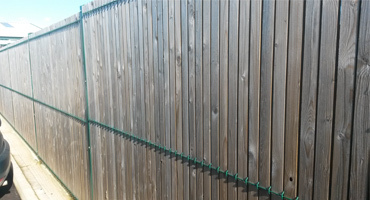 Our profiled weldmesh panel fence P100 system is aesthetically pleasing to the eye with high through-visibility and is particularly suitable for use as a general purpose boundary fence. 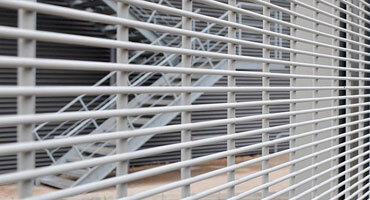 Our P100 is a cost effective fencing system highly recommended for public buildings, factories, workshops and schools. 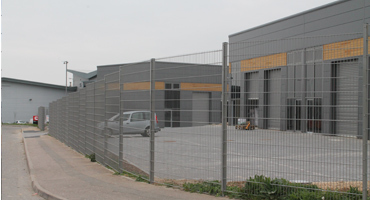 Finish: Panels and posts having been submitted to a number of pre-coat processes, are galvanised to BS EN ISO 1461 and Polyester Powder Coated to BS EN 13438. All fixings are fully galvanised. Our P200 is an upgrade from our P100 system. 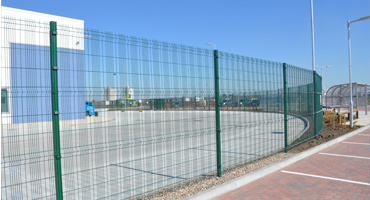 Panels are fixed to the posts with a full length clamp bar and post centres are reduced from 3.03 metres to 2.52 metres. Based on the P200 system but includes timber slats to provide privacy. 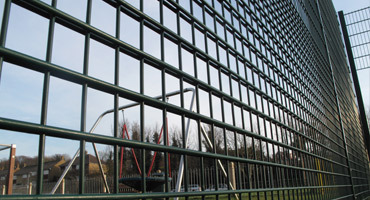 A rigid panel system designed with safety foremost in mind and specifically for school and nursery environments or public areas. 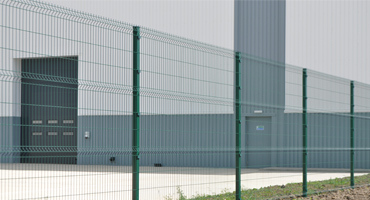 An attractive and high performing security fence due to its unique appearance and innovative design. 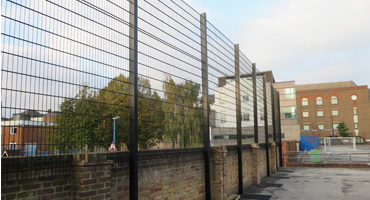 Our Twinwire Flat Security Mesh Fence P656 is a flat mesh panel system that is stronger than our P100 / 200 range and suitable for a range of different applications. 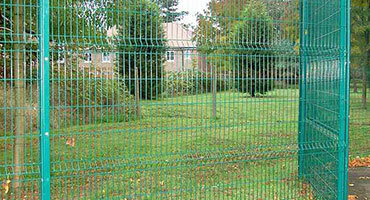 Our 868 Twinwire Flat Security Weldmesh Fence is of the same design as our 656 system but is a step-up in both strength and security. 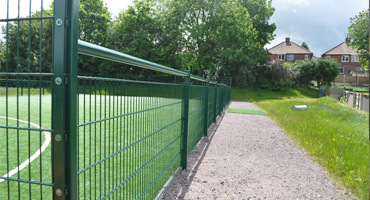 Our Spectator Rail is a perfect side boundary for sports arenas such as field hockey, and comprises a tubular handrail system with twinwire mesh panel infill. 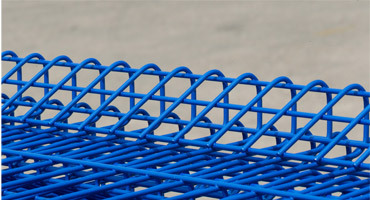 Our Sports Rebound Mesh is recommended to protect all types of sports and playground areas helping the ball to rebound back into the play area. Our P358 is highly recommended for schools, industrial sites, warehouses, vulnerable industries, high risk areas and prisons.